The countdown to Christmas and New Year can be a hectic time and a new beginning can sometimes mean a new home for some. 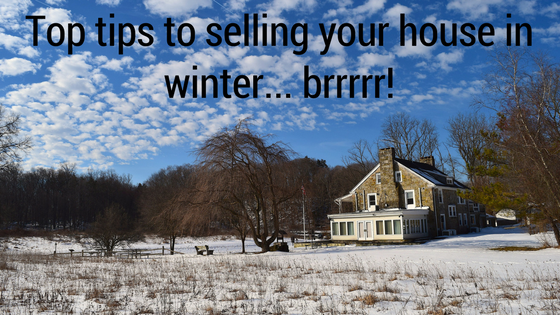 Selling your home in winter isn’t always easy when everything looks dark and grey. Mud and leaves everywhere and your garden isn’t looking it’s best. These top tips will help to increase the appeal and attract potential buyers. In the colder months make sure your home feels cosy and when buyers are invited in they feel at ease knowing that the property is toasty. Remember to use your timers efficiently. 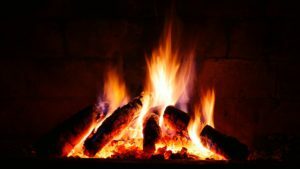 If you have a fireplace then get that fire roaring! On dark, dull days it’s vital to let in as much light as possible. Having a dark home can make it feel gloomy and your home needs to be engaging and inviting. Open blinds and curtains as well as switching on indoor and outdoor lights and lamps where necessary. Ensure your decorations are tasteful and not overbearing or crowding the rooms. Avoid clutter of boxes and bags of presents dumped in spare bedrooms, you want to show all the space that you have. Try to avoid having animals in the home, the smell of a wet dog can be a deterrent. Make the exterior just as appealing as the interior, have a quick walk round, are there any quick fixes? And don’t forget to place a mat at your front and back doors so you’re not traipsing mud through your home. Is it icy? Is it worth ensuring that the footpath/driveway up to your front door isn’t slippy, use rock salt if necessary. Is it clear of slippery wet leaves? Switch on the outdoor lights to showcase your garden space – use outdoor storage to clear away odds and ends. 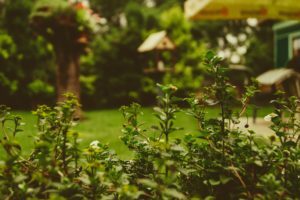 Flowerbeds look a little empty at this time of year but that doesn’t mean that they can’t be tidied up. Use photos if you can, the photo of the kids hanging on your bedroom wall that was taken in the garden in the summer. Does it highlight a colourful flower bed or full green trees? Great use of the patio and decking at a family barbecue? Potential buyers can picture what they could look forward to in the summer. Don’t forget that our Sales team can attend viewings on your behalf and make the entire process as stress-free as possible for you.